4. The price paid for the products you have ordered. Your bank is responsible for their use of your Personal Information and should be contacted directly in this regard. All the information defined as your Personal Information will be used jointly by Tellus, to ensure that your Personal Information is hosted in a secured environment. Tellus is committed to protecting the security of your Personal Information. We will employ all commercially reasonable measures to ensure that details of your order and payment are held securely. If you request disclosure, correction, deletion or that Tellus stop using your Personal Information, Tellus will deal with such requests in accordance with applicable laws and regulations. The deletion of your Personal Information or a request for Tellus to stop using it will result in the cancellation of your registration with Tellus. In the event that you choose to share information with friends or other third parties using our services, you will assume entire responsibility for any messages you send through our Web site or third party Personal Information you provide us. Tellus does not retain this Personal Information other than for sending the requested e-mail unless you send the requested e-mail to yourself. From time to time, Tellus may amend this Privacy Statement in accordance with modified legislative obligations. Our Privacy Statement is governed by and will be construed in accordance with the laws of France without regard to its conflicts of law provisions. Any differences will be submitted to the exclusive jurisdiction of the competent French courts. The information on the Web Site is intended for general information purposes only. Tellus tries to ensure that the information provided is accurate and complete. However, Tellus does not warrant or represent that Tellus Material is accurate, error-free or reliable or that use of Tellus Material will not infringe rights of third parties. Use of the Web Site is at Users’risk. Furthermore, even though considerable effort has been made to ensure that the photographs and other graphic representations of Tellus products displayed on the Web Site are representative of the colour, design, style etc. of the original products, slight variations, distortions and/or differences may be apparent when compared to the original product. This may be due to technical issues such as your browser or computer settings and other reasons. 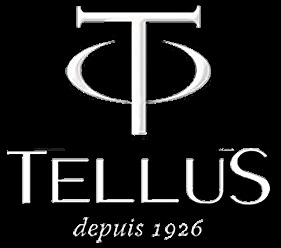 Accordingly, Tellus will not be liable for any apparent differences in the photographs or graphical representations of Tellus products displayed on the Web Site and the original products. Tellus does not warrant that the functional and/or technical aspects of the Web Site or the Tellus material will be error free or that this Web Site, Tellus material or the server that makes it available are free of viruses or other harmful components. If use of this Web Site, or Tellus material results in the need for servicing or replacing property, material, equipment or data, Tellus is not responsible for those costs. Without limiting the foregoing, everything on the Web Site is provided to Users "AS IS" AND "AS AVAILABLE" WITHOUT WARRANTY OF ANY KIND, EITHER EXPRESSED OR IMPLIED, INCLUDING, BUT NOT LIMITED TO, THE IMPLIED WARRANTIES OF MERCHANTABILITY, SATISFACTORY QUALITY, FITNESS FOR A PARTICULAR PURPOSE, REASONABLE CARE AND SKILL, OR NON-INFRINGEMENT. Tellus makes no warranties about the Tellus material, software text, downloads, graphics, and links, or results to be obtained from using the Web Site. Please note that some jurisdictions may not allow the exclusion of implied warranties, consequently some of the above exclusions may not apply. Any personally identifiable information such as your name, address, contact numbers and preferences (hereinafter referred to as “Personal Information”) you make available to Tellus is done so voluntarily, with your knowledge and consent when making a request, submission or registration for services from Tellus either over the telephone or through registration forms. Registration forms contain both mandatory fields (indicated with an asterisk (*)) and non-mandatory fields; if you choose not to complete the mandatory fields then Tellus may not be able to respond to your request or activate your option choices. In order to place an order through our Website or by telephone, you will be required to provide valid and up-to-date Personal Information, including but not limited to your real name, date of birth, phone number and e-mail address, as well as other Personal Information as applicable, such as shipping address, billing address and payment details. Additional Personal Information may be collected by Tellus or its third party providers for security and anti-fraud purposes.